Knoll, who died last month at the age of 101, was a master of midcentury design diplomacy. Florence Knoll Bassett, whom Architectural Record called the “single most powerful figure in modern design,” died at 101 on January 25. Knoll, who believed that a building’s interior was as important as its exterior, introduced an office aesthetic based on function. She interviewed people about how they did their job so they could do it efficiently and comfortably. She then went on to design products like the Model 1500 series, a desk that allowed drawers and cabinets to be added to the frame based on need. The press coined a term for her “humanist interpretation of European modernism”: the “Knoll Look.” Her clients included CBS, Connecticut General, Alcoa, and the University of Michigan, and you’ll see her influence in midcentury period pieces like Mad Men. Knoll attended the Cranbrook Academy of Art, a school that’s considered the birthplace of American modernism, where she was a classmate of future star designers Charles and Ray Eames, Eero Saarinen, Harry Bertoia, and Benjamin Baldwin. She eventually moved to New York, where she joined the architectural firm of Harrison & Abromovitz in 1941. While living and working in New York, she met Hans Knoll, the owner of a small furniture company, and she joined his firm in 1943. The couple married in 1946; that same year, the H.G. Knoll Company was renamed “Knoll Associates,” and the Knoll Planning Unit, which focused on interior design, was set up. Florence was named head. Then, in 1947, Knoll Textiles, which worked closely with the Planning Unit, was launched, giving Knoll the opportunity to develop, market, and sell printed and woven textiles. Wartime rationing, which included clothing and textiles, had ended in 1946. 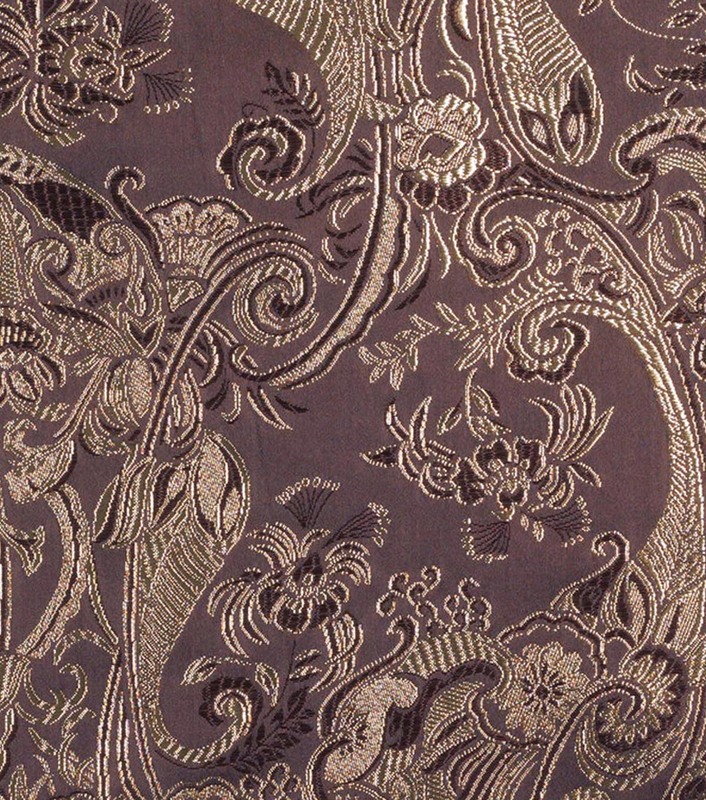 As the economy grew, so did the appetite for textiles. Used for upholstery, curtains, and carpeting, they were integral to modern architecture: They could unify open floor plans, serve as dividers, and separate work areas from living spaces. 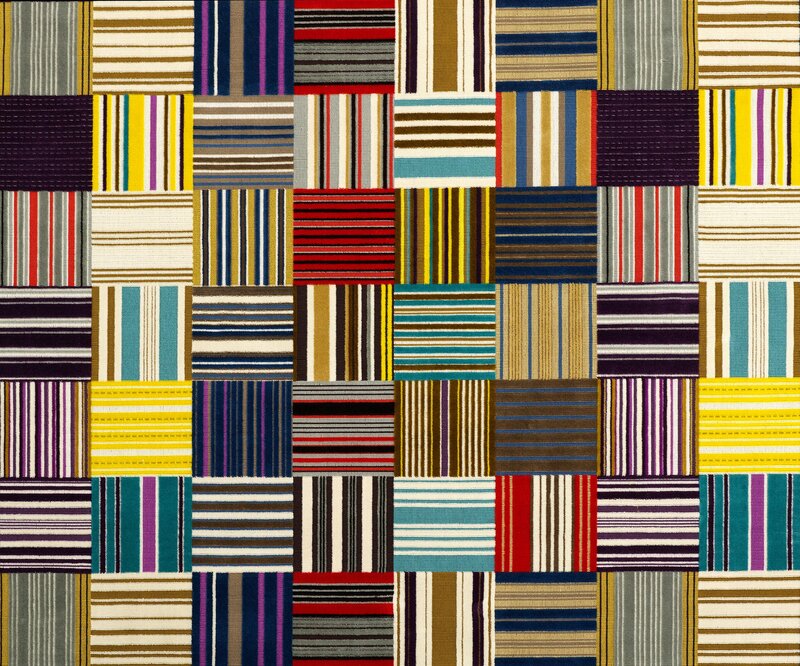 Knoll’s unobtrusive textile designs that tended to feature subtle colors often included geometric or biomorphic prints and woven fabrics in which vertical and horizontal weaves formed a pattern. The most famous is probably the 1959 American National Exhibition in Moscow, during which then Vice President Richard Nixon and Soviet Premier Nikita Khrushchev held their “kitchen debate” and argued about the merits of capitalism and communism. But there were smaller exhibits that preceded the American National Exhibition in Moscow, including “How America Lives,” which was held in Frankfurt in 1949, and “America at Home,” an exhibition in Berlin that took place in 1950. In 1951, the Traveling Exhibition Service–now called the Smithsonian Institution Traveling Exhibition Service–asked Knoll to curate and design an exhibit. She had been recommended by Edgar Kaufmann Jr., the director of the Museum of Modern Art’s Good Design program. It also didn’t hurt that Knoll was known in some government circles. She had designed U.S. Secretary of War Henry Stimson’s office, and Knoll Associates had outfitted government buildings in the U.S. and Europe. For a 2018 exhibit titled, “A Designed Life,” organized by the University of Maryland, Baltimore County’s Center for Art, Design & Visual Culture, I re-created Knoll’s original exhibit using photographs and plans from the Archives of American Art. The goal was to sell the idea of capitalism, America, and democracy in a postwar Europe that was anxious to rebuild, and it appeared in West German and Austrian schools, museums, and trade fairs. Was it thrown away or donated to a German school or museum in order to earn some goodwill? Was it discarded because the 1948 Smith-Mundt Act, which authorized international public diplomacy, discouraged the presentation of these exhibitions in the United States? I do know, however, that Knoll was proud of this exhibit: When German architect Walter Gropius praised it, she wrote that it was “a great honor.” And she included sketches, plans, and photographs of “Contemporary American Textiles” in her papers that she donated to the Archives of American Art. Margaret Re is associate professor of graphic design at the University of Maryland, Baltimore County. This article is republished from The Conversation under a Creative Commons license. Read the original article.